Positive EFT Case Story – Boosting Dance Performance with EFT! 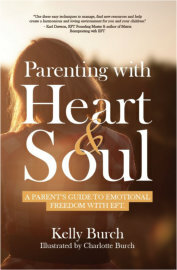 We are delighted to announce that our latest title, Parenting with Heart & Soul by Kelly Burch, is now available for pre-order, and will be released on 8th September 2014. All the books we publish are special, but Parenting with Heart & Soul offers a unique perspective on the ups and downs of raising children. In a straightforward and down-to-earth way, Kelly explains concepts of the energy system and why that matters when it comes to the behaviour of children as well as us parents. She explains what emotions are and how to manage them in children. As well as insightful and empowering knowledge, parents are going to love the part of the book which dives lovingly into common areas of difficulty and discusses respectful ways to approach them. Kelly talks about fears, anxieties, sleep, tantrums, and much more. Kelly also includes super-easy energy tools that make light work of mum and dad feeling great, morning, noon and night, as well as tools to support the energy of the entire family. Kelly’s open-hearted and relatable anecdotes along the way will remind you that wherever you are at, and whatever philosophies of parenting you subscribe to, there is always opportunity for parenting with your heart and soul. Time flies, and the Energy event of the year, the GOE's EFT & Energy Conference is just 2 months away. Tickets are selling at an unprecedented rate, so we really recommend you get yours now. And remember, the massive early bird discount ends at midnight on 31st August 2014. Using brand new techniques and methods developed by Silvia Hartmann, Events Psychology is about pin-pointing these good or bad times in our lives, small or big and some which we may have forgotten, to finally release ourselves from the past so we may create our own personal brilliant future. In this special download you can find out how to use EFT (Emotional Freedom Techniques) tapping with Events Psychology to create direct, stress free and highly powerful healing treatments and change events with clients and in EFT self help. 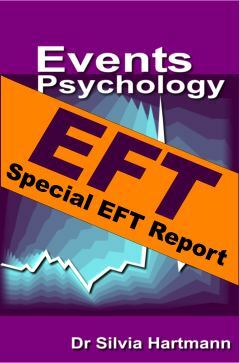 Use the links below to access your free download and to find out more about the Events Psychology and Energy EFT books. We like to showcase case stories on the energy healing techniques that we publish titles on, as it gives you the condfidence to know that these are being used by people around the world to immensely improve the lives of themselves and their loved ones. 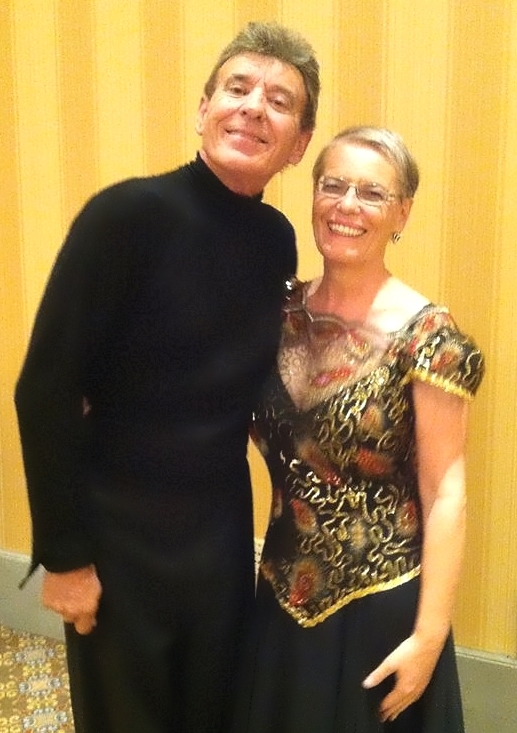 Carna writes: I am a EFT Master Practitioner and I have been using classic, original EFT for many years, including tapping on myself for peak performance in dancing. When Silvia Hartmann's book ‘Positive EFT’ was published last year, I was eager to test that interesting approach. In order to get a clear idea of the effectiveness, I decided at that time to use Positive EFT only for myself, and specifically to help improve my dancing. It was late in life when I got around to doing something about my longstanding desire to be able to dance. I always had the limiting belief that I, unlike other people, could never, ever do this. So one day, I bravely crossed the threshold of a studio and started taking lessons. I loved it from the first day on and, within two years, have become a dedicated Ballroom/Latin dancer who now regularly participates in competitions. This is great fun, but stressful too! 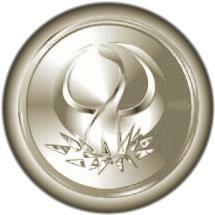 About a month before my first national competition in Phoenix, USA, (the others had been local), I started using Positive EFT exclusively every day. Read the rest of the article to find out how Carna got on at the competition by using the link below. The GoE's Energist print magazine debuted last month, and received great feedback from readers around the world. You can now read The Energist Volume 1, Issue 1, for free online, including all the juicy exclusive content you won't find anywhere else. The online edition has been specifically designed to be easy-to-read on your computer, smartphone or tablet. The second issue is currently being made ready, and will be released in print form next month. The Energist is free for all GoE Members, and the great news is that membership with The GoE is available from just £25.00 a year. Find out what you have been saying about some of our most popular books, courses and other products this month! "I think the course is excellent value and a resource I will always refer to in my future career with EFT or any energy work. Well, what more to say. I now have the right tools and I am ready to help others and learn more from each and every client." "Throughout the course I have learnt a whole variety of ways in which to use EFT. Some I found easy to grasp and others I wrestled with – I thank you for your patience with those! – I am amazed by both the simplicity and versatility of EFT and how something so simple in essence can create such massive shifts." “A new way of using EFT which sits very well with me." "I love the concept of Positive EFT. When I use the technique I feel my vibration elevating higher and higher. It really benefits clients, too. It takes the traditional EFT practice to a whole new level." "I am an EFT practitioner and have been introduced to positive EFT recently, it feels awesome and has really helped to keep the lift out of possible depression thoughts at bay and helped me to move forwards and feel great on a daily and hourly basis." "This book is practical, down to earth, easy to read and informative! Once read, it acts as a brilliant 'dip in' guide for reference." "Whether you are new to the world of NLP or have years of experience, of using NLP Skills, this book is great for general use in business and would be an asset for anyone looking to improve in all areas at work."